Celebrate Fall With Duraflame & A Warm Bonfire! The start of fall is this week and nothing is better on a cool night than a hot bonfire in the backyard with friends and family! 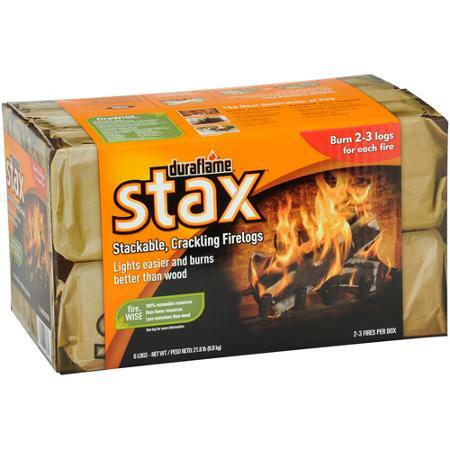 duraflame® stax® is the first stackable fire log designed for use in fireplaces, wood stoves and outdoors. Shaped like split wood, stax burns with the same charred appearance and crackling sounds of a wood fire, but produces half the pollutants of an equivalent wood fire. No wood fire stacks up to this! Easy to light. Simply light the brown wrappers. 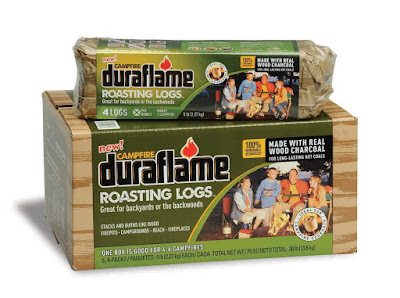 Duraflame Roasting Logs are the first of their kind specifically formulated for use in the backwoods - or the backyard - these logs are safe for roasting marshmallows, heating hot dogs, or preparing other inventive fireside treats. If you’re worried that these won’t live up to the appeal of a traditional fire, you shouldn’t be. These logs stack and burn like wood for a robust fire that creates hot, glowing coals that are perfect for roasting. You can purchase Duraflame products at local retailers near you.